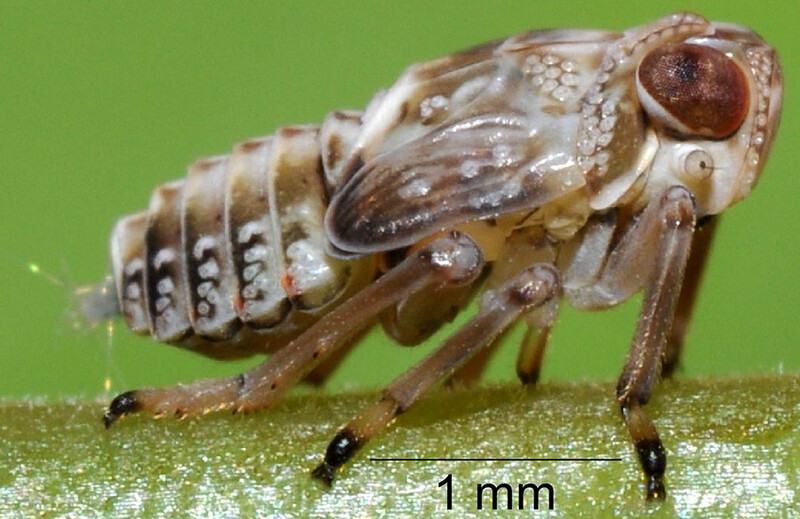 The nymph stage of the high-jumping leafhopper Issus coleoptratus. Gears, one of the six simple machines, fasten hinges to the door, manufacture toasters and tablets, and drive your pet Ferrari to shocking speed. But in the realm of biology, we hear precious little about gears, or inclined planes, screws and pulleys. Until now. Tomorrow, Science describes how insects called leafhoppers use gears to synchronize their rear legs so they can jump 100 times their length. “I’d been interested in how insects move, and then got interested in how they meet the demand of moving really fast, powerfully,” says Malcolm Burrows, emeritus professor of zoology at the University of Cambridge in the United Kingdom. The quest to find Olympic-level jumpers lead Burrows to a large group of insects called the planthoppers, AKA leafhoppers. When Burrows focused on a leafhopper called Issus coleoptratus, he found that nymphs (an early stage of development) can jump about 300 to 400 millimeters — more than 100 times their length. To jump accurately, the nymphs fire the rear legs within 30 microseconds of each other. Nerve cells cannot deliver such split-second timing, Burrows says, yet without it, the jumps would be off target, and the hoppers could go hungry at best or become somebody’s lunch at worst. 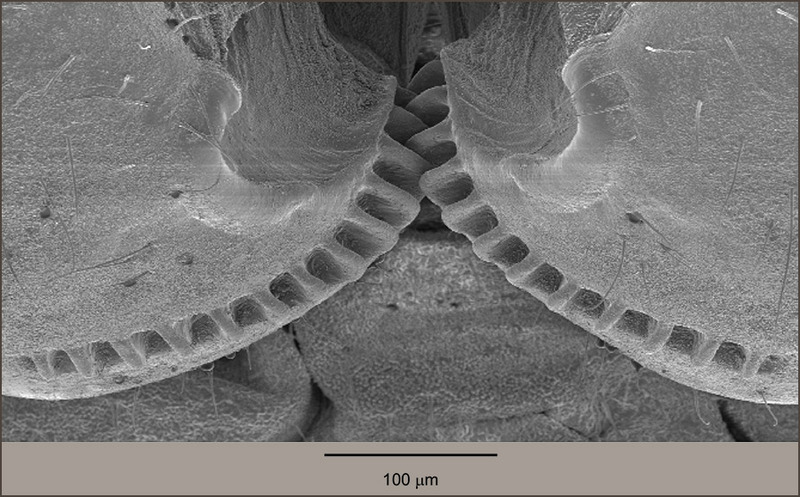 Scanning electron micrograph image of the intermeshing gears in the leafhopper. Roll over for a close-up. This jumping Issus nymph was photographed at 5,000 images per second. The video plays at 30 images per second. Although it looks like the gears are delivering power, Burrows and Gregory Sutton of the University of Bristol (United Kingdom) found that they are actually synchronizing the leg muscles, which are “cocked” and then tripped to create the movement. 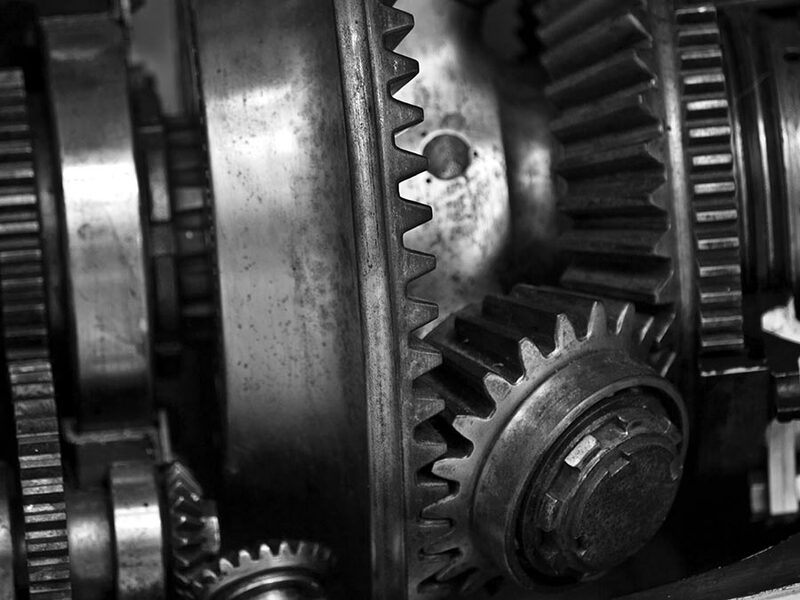 During their partial rotation, the gears move at a speed of more than 33,000 revolutions per minute! With an acceleration of about 700 gs, the ‘hopper quickly reaches a velocity of 3.9 meters per second. 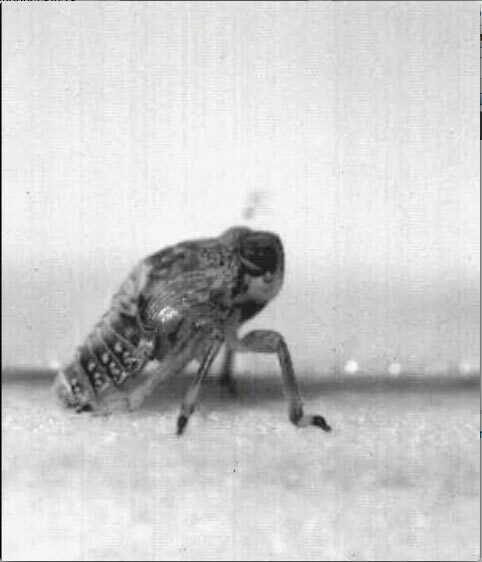 This video of the leafhopper nymph’s jumping apparatus is shown 1/166 times slower than natural speed. For all the beauty of this evolved design, here’s an oddity: it’s absent in the adults, which can jump even further than the youngsters. 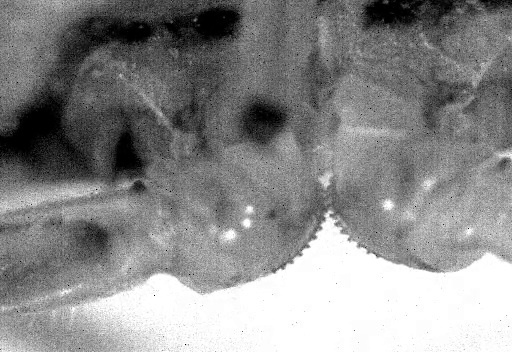 One reason why this “remarkable gear mechanism” would be absent in the adults is because gear teeth can break. “The only thing we can come up with that seems reasonably rational” is that gearboxes fail when their teeth are stripped teeth, Burrows says. Nature has yet to produce a gearbox of this complexity… These gears are inside an engine at the Cosford RAF [Royal Air Force] Museum in Wolverhampton. Just as a stripped transmission won’t help a Hudson-ful of Oklahoma bank robbers outrun the cops, a stripped gearbox would not help a leafhopper avoid getting eaten. Survival recipe: Jump fast, jump far!